Hi friends! I am finding it super hard to get anything done with the summer and having the kids home. We are busy with scout camps, and cross country pre season, dance and gymnastics! But we are enjoying it and especially the evening walks in the cooler weather! A few years back our church was getting new pews for our chapel. 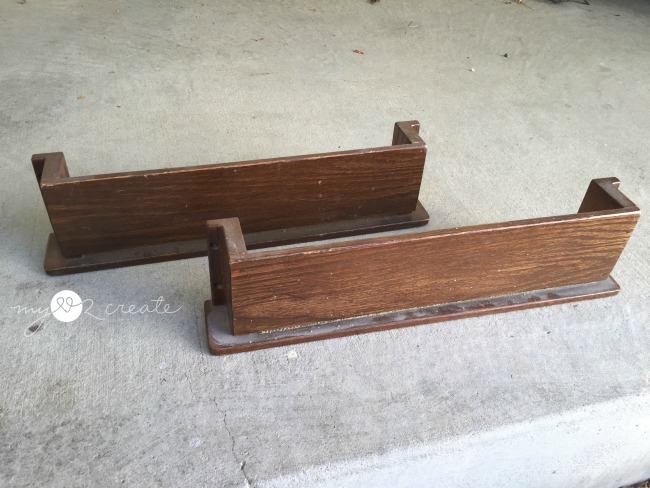 They originally said we could take a pew (if we wanted one), but when I went to pick one up they had decided to sell them to an organization. Ok, cool, but "Do you want the Hymnbook Holders?" I asked...No they didn't! So of course I came home with several, and they have been collecting dust in my garage ever since. Until now! 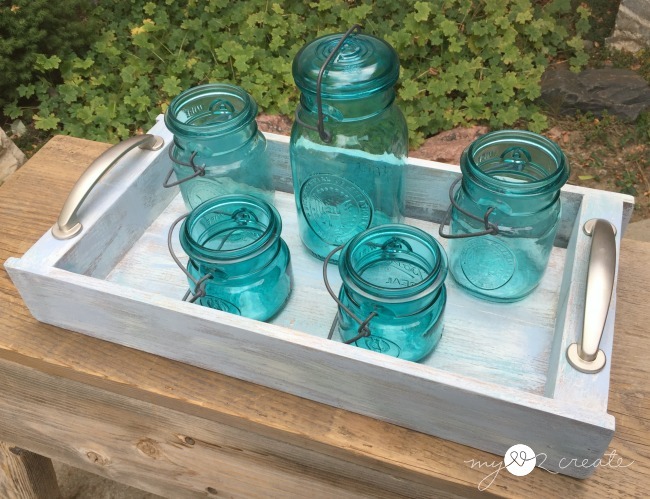 I have had several ideas of how to use these holders, but one recently popped in my head and I new it would be a great repurposed project. 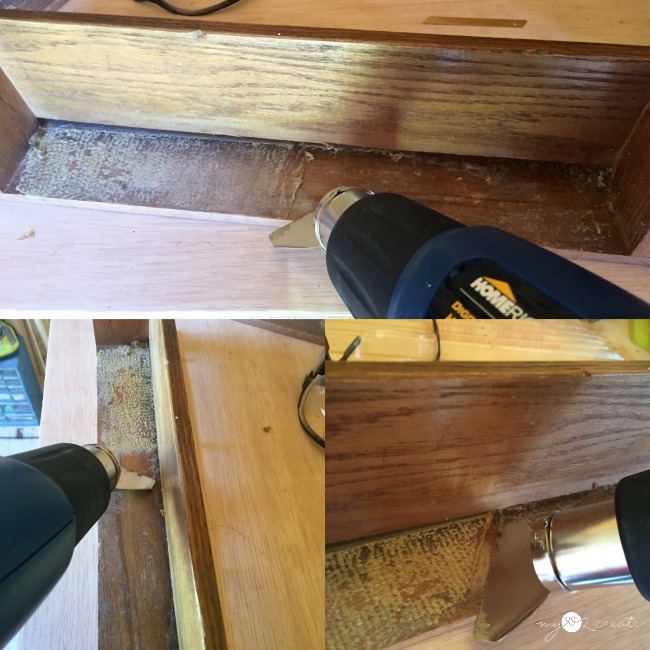 I started by removing the carpet strip (cause you can't have the loud noise of hymnbooks dropping back into their holders, right!) and saw the nasty hardened on glue. Ick. Time to bust out my HomeRight Heat Gun! The heat softened the glue and make it easy to take off. It took about 5 minutes or so to scrape off the glue, but it was well worth the effort, plus it would have taken much longer to sand it and wasted a ton of sandpaper. 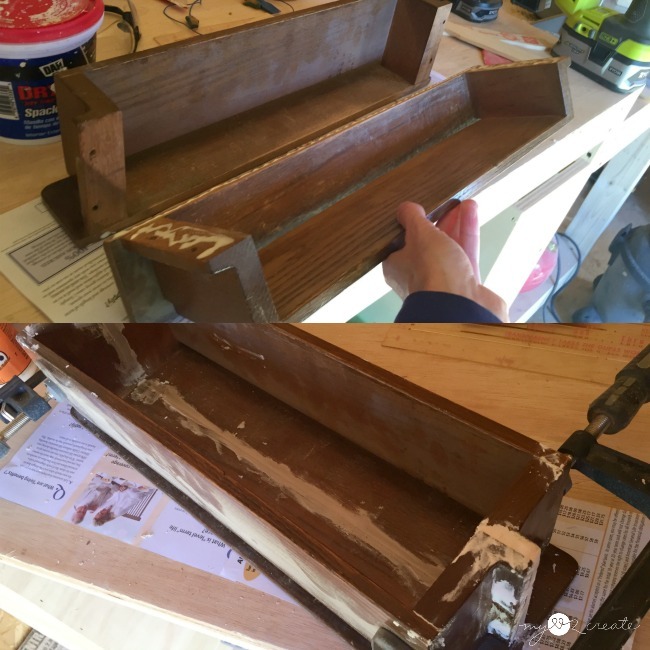 In order to make a caddy with two of the hymnbook holders, I added wood glue and clamped them together while the glue dried. Then I proceeded to fill in all the cracks and holes with Spackling . As I was messing with two other hymnbook holders (yes I still have more in the garage...) trying different configurations, I had a fun surprise. I realized they would also make a cool tray! So of course I had to make one. I glued, clamped, and filled the holes with Spackling as well. After the glue was dry I sanded them down to remove the extra speckling and got ready for painting, which I have to be honest, I sometimes have a hard time picking what colors and techniques to use, and this project was one of those. 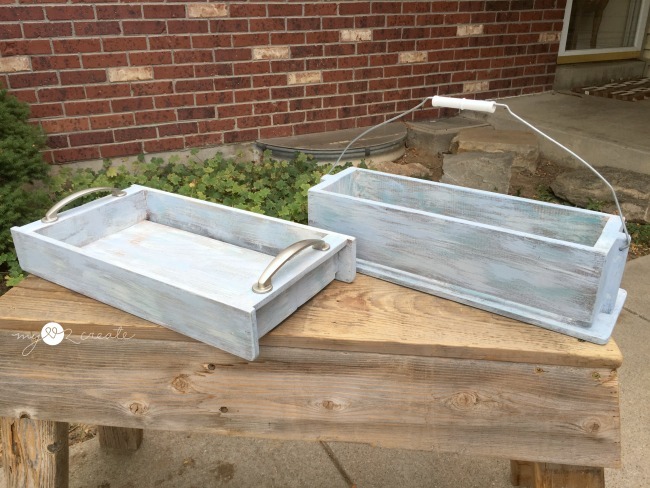 I finally decided to do a dry brush shabby chic technique in white, aqua, blue, and gray. 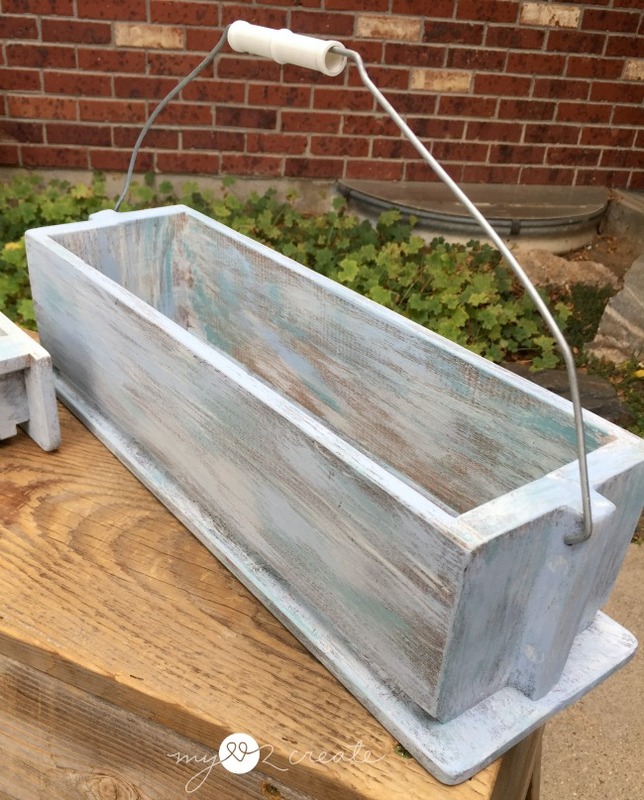 I used FolkArt and Deco Art chalk paint. 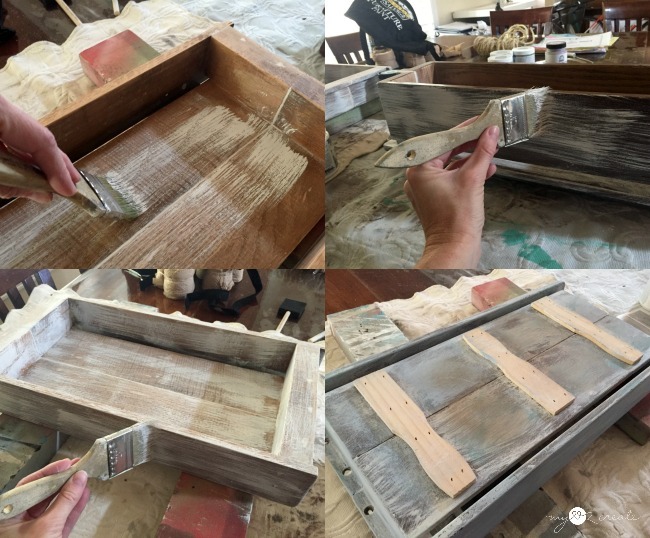 For this technique you apply paint onto your chip brush, wipe most of it off onto newspaper, and then brush it on your project. There is no method, just be messy and don't completely cover the piece...that is the look you want. I added little bits of the other colors, but not too much. For another example of this technique see my Pottery Barn Knock-off Sign. And there are the paint sticks I told you about (bottom right). 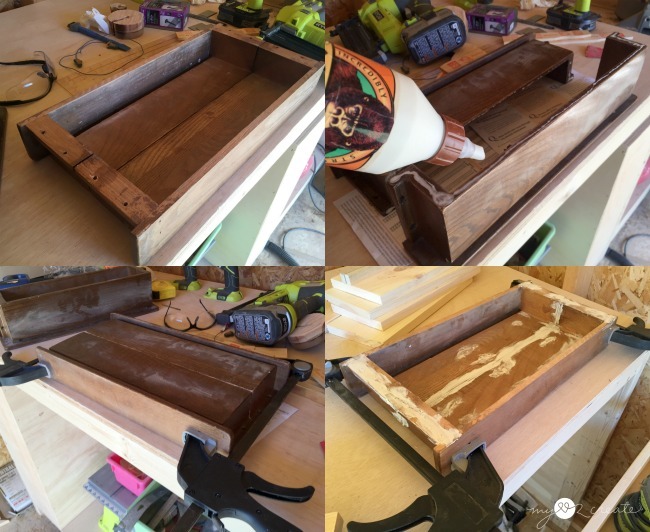 :) To seal the tray I added a few coats of Creme Wax . My original plan was to add rope handles, but a the last minute I switched things up. 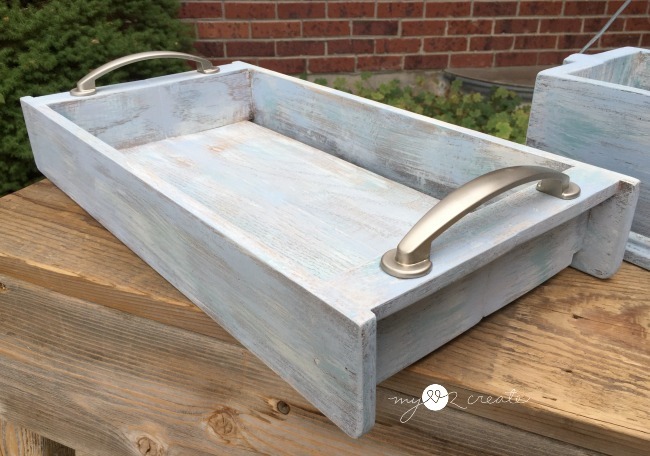 I attached drawer pulls to the tray, and stole this bucket handle for my caddy. I drilled holes on each side of the caddy and used DAP Rapid Fuse to secure the wired ends in the holes. The finished products! 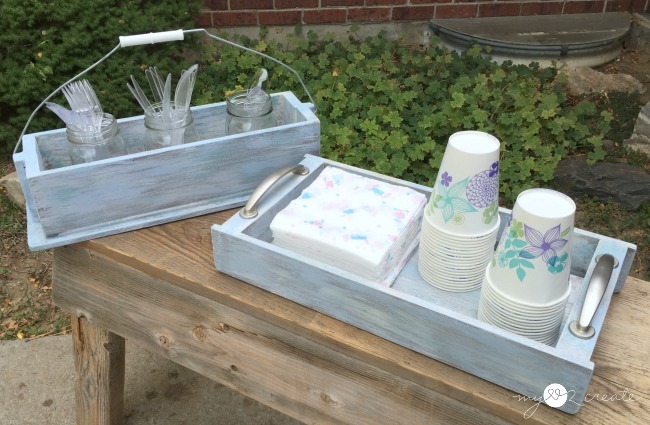 I love trays, caddy and crates, so these were fun to create, especially the tray since that was a happy surprise! 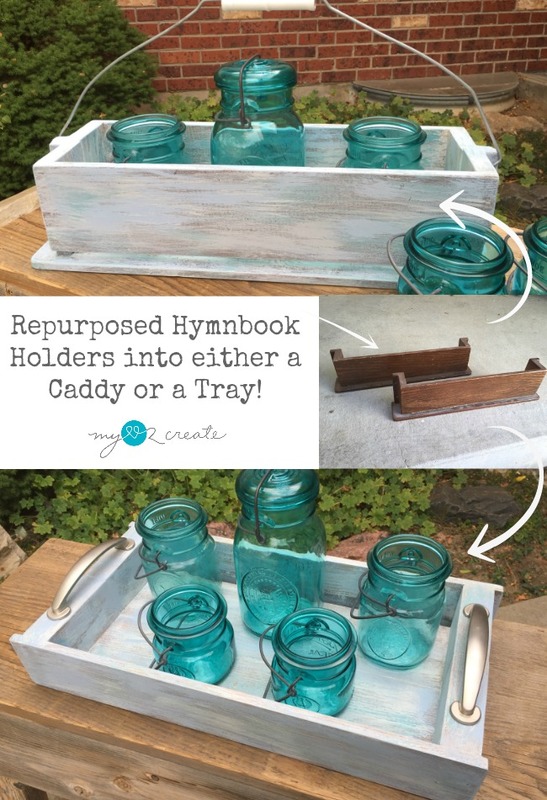 It was so good to give those old hymnbook holders a new life. Caddy's are always useful, and the wire handle makes it unique, I also used a metal handle for my Coca Cola Crate. 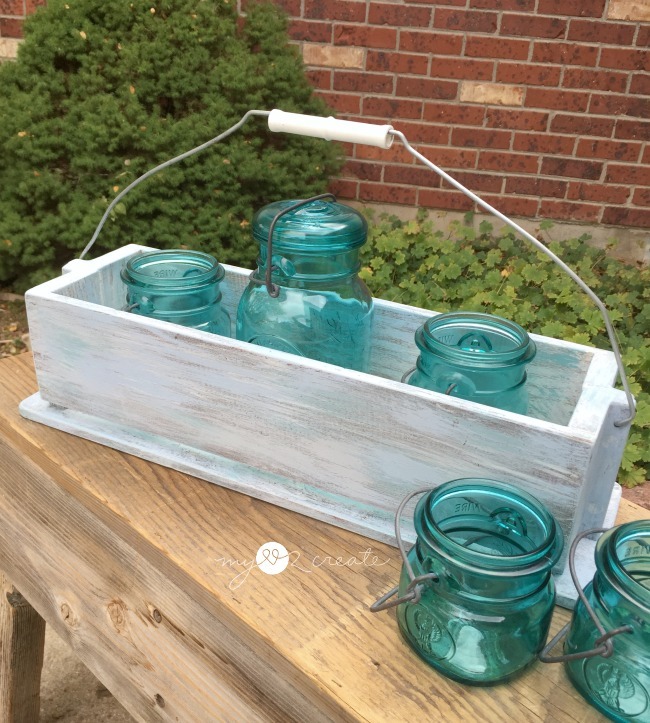 This caddy/crate would be perfect for home decor or flowers in mason jars! The other thing I often do with caddys or trays is give them as gifts. It is fun to add a chalkboard label or a stencil to the sides...or even on the inside of tray, like I did on my Baby Supplies Gift Box...man those were cute! 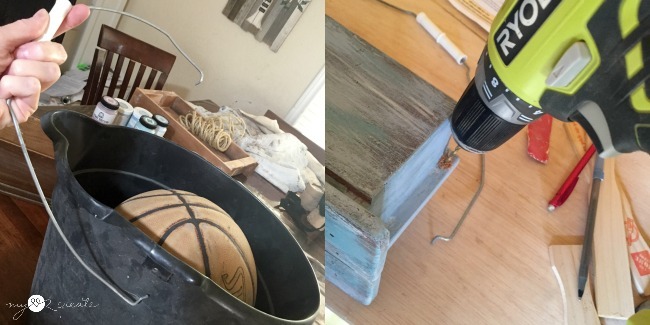 They would be great for entertaining too, I love projects with endless possibilities! Such a clever idea! I would not have thought to do this. Thanks for sharing with SYC.